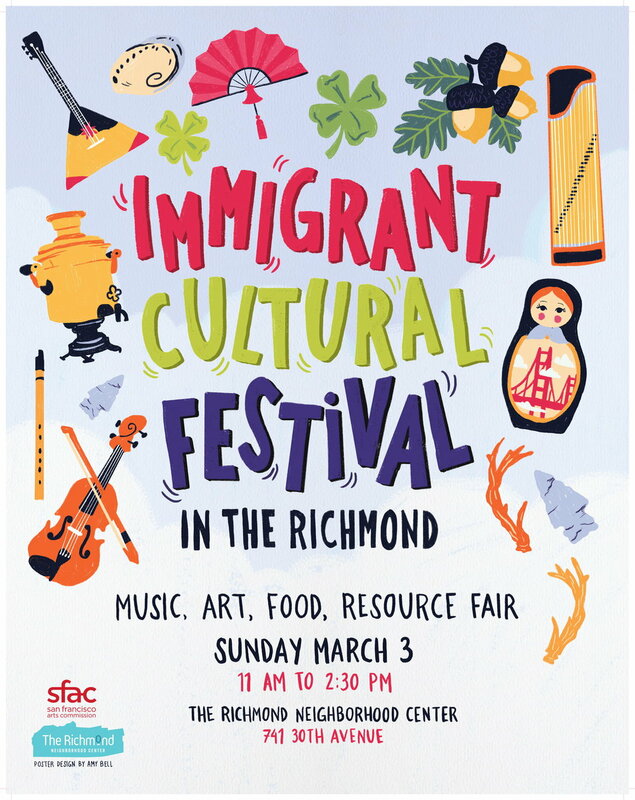 Join us at The Richmond Neighborhood Center on Sunday, March 3 for a celebration of immigrant and native cultures in the Richmond District! This FREE, family-friendly event will feature Chinese, Irish, Russian, and Ohlone music, dance, artists, and exhibitors, as well as a resource fair, food and more. Stay tuned for more details and a full list of performers!